Join us this Sunday for a video & group discussion on Richard Buckminster “Bucky” Fuller (July 12, 1895 – July 1, 1983) an American systems theorist, architect, engineer, author, designer, inventor, and futurist. Fuller published more than 30 books, inventing and popularizing terms such as “Spaceship Earth“, ephemeralization, and synergetic. 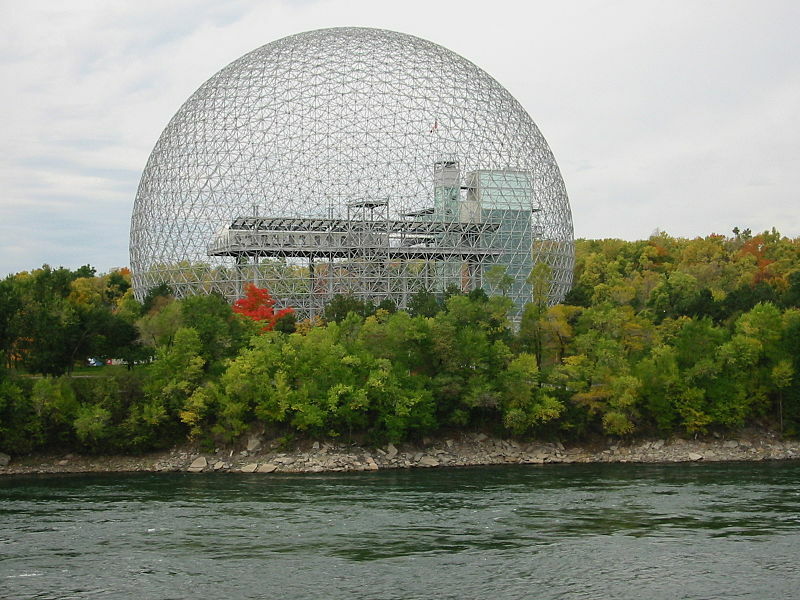 He also developed numerous inventions, mainly architectural designs, the best known of which is the geodesic dome. Carbon molecules known as fullerenes were later named by scientists for their resemblance to geodesic spheres. Fair Trade Coffee & Tea will also be for sale before and after the service to benefit the fellowship and the well being of small farm cooperatives & communities. Find us on the Lower Level of the First Congregational United Church of Christ, 431 Columbus Avenue, Sandusky. Use either of the back entrances. All are welcome! Sunday School is at 10:30am. For more information, find us on Facebook & Twitter!